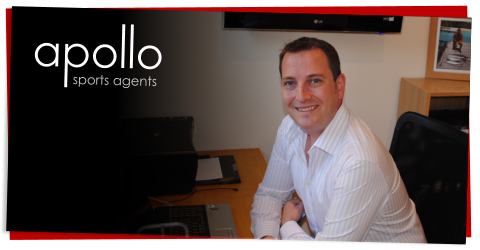 Apollo Sports Agents' Blog | "Be the best you can be"
Before compiling a marketing strategy for a client the agent must first understand the opportunities available in the clients sporting field. For example there are far greater opportunities for endorsements with an individual sportsperson than the average team player. The reason for this is there are far less restrictions on the individual player; such as a golfer who not only can endorse his equipment but can also advertise on his shirt, his cap/visor and even on his bag. Team sports are more restricted to shoe wear and unless you can create and market an “Air Jordan” there will be limited players who can command big money for shoe endorsements. The best that most team players can hope for is free footwear and an occasional bonus for on field performance excellence. This however should not be underestimated. If an agent is representing a team player and can get him free sports shoes then it not only shows the client that they are working hard for them but can demonstrate the agent’s commitment to the player is long term and not simply looking for a quick financial hit at contract negotiation time. Marketing and Endorsements do not have to end after a successful playing career and should be considered by a good agent throughout their client’s career. There are still opportunities for corporate event attendance, after dinner speaking etc and these can all be maximised if the agent prepares the client accordingly. A good agent will arrange for training and support in public speaking and media training where appropriate. This is not only morally the right thing to do but as an agent the longer your client is earning then the longer the agent in earning. The greatest example of this approach is golfing legend Arnold Palmer. As stated by Ruxin “Palmer has developed a reputation of working hard and effectively in support of his sponsors. By age 70, he had established a legacy for the Palmer brand through some 140 licenses. The most influential soccer player of recent times? Which soccer player has had the biggest influence on the game in the last twenty year’s? This ruling did not greatly benefit Bosman as his soccer career was ruined by his brave and intelligent court action. He started his case in 1990 when he was 25 and at the peak of his career. He was left in limbo for five years and then, one year after he won, he had to leave third division Belgian club Vise because he could no longer make a living out of soccer. Bosman stated “I hope that in a few years players will remember what I did for them,” (Independent Newspaper Saturday, 16 December 1995). How many of the high profile players who have benefited from Bosman’s case have sent their personal thanks or gifts from their additional millions to him? Ironically the only person research shows who did offer to buy Bosman a gift for what he achieved was actually Eric Hall the soccer agent! This European Union (EU) ruling eventually led to the free movement of footballers between clubs within and between EU countries, with no fee payable when players’ contract had expired. This new ruling has also meant that players are now allowed to discuss and negotiate their own deals with a new employer when their previous contract has expired. This means that top players, and their agents, are in a very powerful position with their own clubs, and with potential buyers, when their contracts are nearing an end. The Bosman ruling had even more far reaching consequences. Pre-Bosman clubs were limited in the number of foreign players they could sign. In European competitions Uefa regulations stated that clubs could field only three foreign players plus two “assimilated” players who had come through their youth set-up. After the Bosman ruling, clubs could sign any number of players from European Union countries. That made possible the phenomenon of clubs fielding teams without a single player from that country. Without the Bosman ruling Chelsea and Arsenal could never have fielded teams without a single British player, as both have famously done. Views on whether the Bosman ruling was good for soccer are mixed but the clear agreement is that the ruling is good for players as the power now rests with them. If there is no transfer fee involved the player or agent can negotiate potentially (depending on the players’ ability) a very large signing on bonus coupled with a greatly enhanced salary. •	To better understand the current and future challenges in the industry. The research materials used to understand the above are listed below. Through the research identified above the blog will explore one of many key areas that aim to demonstrate an understanding of the history of the sports agency industry and the current and future challenges. Of the identified areas including legislation and the risks associated with the consolidation of sports agencies the priority area identified for the purpose of this paper is the reputation of the sports agent. The title of this paper being “Why is it so rare to hear about a good sports agent?” is pertinent as the vast majority of examples available regarding the history of sports agents highlight agents that give poor advice, are self representative and do not, either through ignorance or dishonesty, adhere to the legislation in place. Clearly there are some good agents both currently and historically so why is it so difficult to find information on them? The main reason for this is that human nature dictates that we are more interested in someone who has done something wrong than someone who has done something right and the media has rightly focussed on this to satisfy their audience, however negative a perception this gives. Even Mel Stein in “How to be a sports agent” opens his book with the words “we are agents, we are agents, no one likes us, we don’t care” as a parody to a famous UK soccer team chant used by the notorious supporters of Millwall FC. Whilst it is obvious that this line is just a catch for the book if an agent himself is writing in this manner is this a good representation of the business? Whilst researching for this paper there were a number of negative references to US NFL agent William “Tank” Black. As an example the following tells a very brief story of the damage of the sports agent’s poor reputation. Tank was one of the National Football League’s first super agents who eventually represented over 50 NFL players, as well as National Basketball Association star Vince Carter. Tank had a tough upbringing as both of his parents suffered from alcoholism and, from the age of two, he was raised by his grandmother, Susie Black, in Greeneville eastern Tennessee. Tank was a talented athlete who played at quarterback for his school and then went on to be a wide receiver coach at the University of South Carolina. He set up his company Professional Management Incorporated in 1990 where he represented the players mentioned earlier. What happened next is well documented with Tank being sentenced to five years in prison for perpetrating a fraudulent investment scheme that cost his clients up to $14 million. Researching Tank, who did a huge amount of damage to the reputation of the sports agent, raises many questions. This paper does not attempt to answer the questions but they are thought provoking enough for consideration. •	Was Tank aware of the regulations and legislation that was in place? •	Tank obviously held certain skills whether they were legitimate or not to attract so many high profile clients so what was the trigger that led to the downfall? •	Was Tank simply greedy for more and more money due to a flaw in his nature or due to his difficult beginnings in life? •	Did Tank actually do a good job for any of his clients? As stated these are simply questions for consideration as the answers are probably only available from one man and that is Tank, although NFL linebacker Johnny Rutledge submitted an affidavit detailed in the introduction of “The Business of Sports Agents” that gives us some indication to the way he possibly operated. The bottom line is if sports agents do not improve their reputation then governing organisations will be forced to increase already complicated legislation which will make the complex job of a sports agent even more difficult.